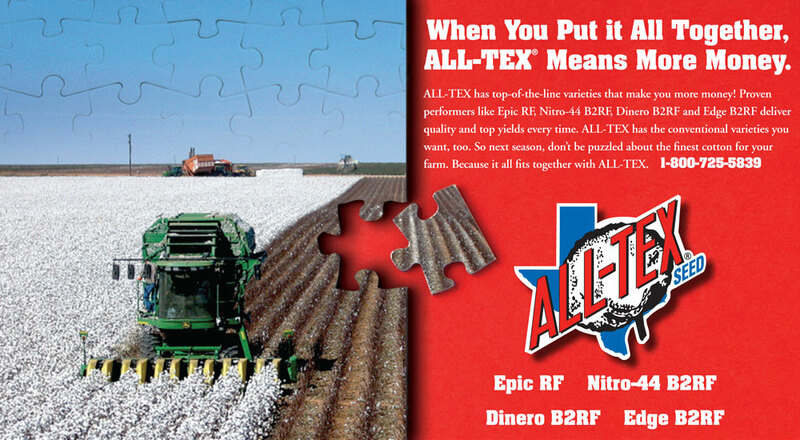 Grower will qualify for 75% of the purchase price of replanted ALL-TEX germplasm. Grower must provide crop insurance form stating drought as primary cause of crop loss. Grower will qualify for 50% of the ALL-TEX germplasm purchase price if the cotton crop yields less than 150 lbs per acre due to drought. Crop loss refers to the establishment of a satisfactory stand within 60 days after planting. Crop must be destroyed after submitting a claim and validated by a Monsanto representative. If above criteria are met, grower will qualify for 100% technology fee refund.